Jeremy Keorper walking in for his fight at Fight Me MMA's Veterans Day event. It was a historic night in Missouri mixed martial arts Friday, at the Family Arena. A reported attendance of over 12,000 set the mark for the largest attended mixed martial arts event ever in Missouri as Fight Me MMA hosted Veteran's Day Battle. Fight fans were treated to ten quality scraps and first-rate production. However, the theme of the night, undoubtedly, was honoring the veterans. After a video tribute to all of those who served in the armed forces and a haunting ten-bell salute to the fallen warriors, two amateur bouts kicked off the night, and three main event bouts closed the show. The first fight of the night pitted Brandon Knight versus Jason Powell at 145-pounds. Powell was representing the Army National Guard combative unit, and had several fans in attendance. Unfortunately, it was Knight's night as he got the best of Powell with a guillotine choke at 28 seconds into round one. Fight number two also featured a member of the combative unit, but this time the results were different. Jeremy Keorper took out Bob Loveless also with a choke at 24 seconds into the first round at 185-pounds. Keorper made the record 1-1 for the Army National Guard and subsequently ended the amateur portion of the card. 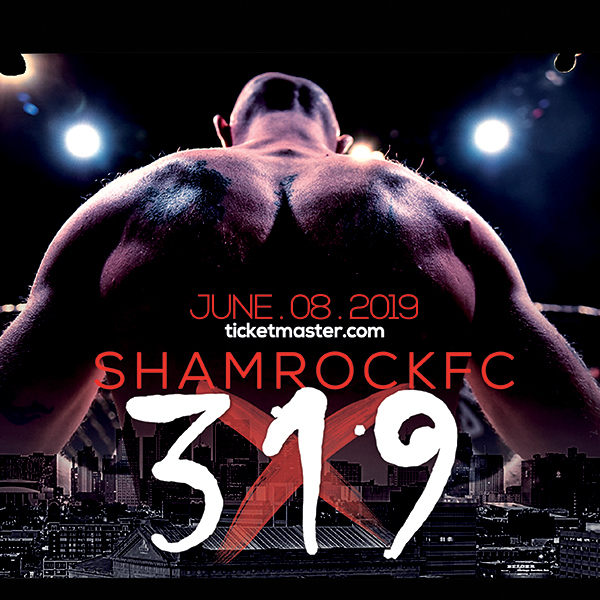 In fight three, Zach "The Altar Boy" Freeman, from St. Charles MMA, was able to stop Darius "The Wildman" Yancy at 165 with a triangle choke after a brutal first round, securing the victory. There was plenty of hoop-la surrounding Freeman going into this fight as a top-flight prospect and he lived up to every bit of the hype. The fourth fight of the night was by the the bloodiest. ATT Evolution-trained Nick Lobosco was able to stop challenger Yohance Flager by arm triangle midway through round one of this featherweight contest. After a brief intermission, Fight Me MMA delivered a super-fight between hometown favorite Justin "The American Kid" Lawrence and Anthony "Superman" Jones at 155. Lawrence, a Pacific native, is a member of world renown Black House and must have been packing kryptonite as he secured an arm-bar victory halfway through the first round. After the win Lawrence told the crowd about his plan to try out for the next season of The Ultimate Fighter in December. Lawrence paid his own tribute to the vets as he proudly waved the American flag before and after his fight and also got the crowd involved in a "USA" chant. In a fight that could have easily been the main event, Rashid "The Black Spartan" Abdullah (170) took on very popular CMMA fighter, Sal Woods The Spartan was able to win by rear naked choke, but not after a 5- minute plus delay resulting from two separate low blows he had delivered. With some controversy surrounding this win, and seeing an opportunity to put it to rest, Fight ME MMA Kenny Nowling announced an immediate rematch to take place at the upcoming January 13th show that drew a tremendous cheer from the audience. St. Charles MMA's second fighter on the card, Alp Ozkilic outlasted Damian Jeffro in a very technical match. Ozkilic (135) used his superior wrestling to control most of the fight, and was able to score enough offense in each round to win the judges' favor. Ozkilic won with unanimous decision win that saw all three judges scoring the match 30-27. The first main event featured light heavyweights Colby Tierney taking on Mike King at 205. Tierney, of Sullivan, took a tremendous amount of punishment before King was able to finally put him away with a kimura in round two. Tierney showed a incredible heart in this match, and we will no doubt see him back in Fight Me MMA. King looked impressive, and at times unstoppable. In the second main event the heavyweights took to the cage. Tex "T-Wreck" Trismegistus (220) won two minutes into the first round after Fiore MMA's Eddy "The Smashing Machine" Smith dislocated his knee robbing fans of what easily could have been the fight of the night. Smith dominated early, but had to quickly stop the fight when his knee gave way. The last fight on the card also produced the biggest upset. Scrappy, Ray "The Gator" Grindstaff (135) took on "The Professor" JW Wright, a jiu-jitsu wizard. The first round was fairly close with both fighters getting a few shots in. The second round started with a superman punch from Wright which was quickly dodged and countered by Grindstaff dropping his opponent. The "Gator" sensing victory jumped on his opponent and quickly got the TKO victory causing the crowd to erupt. In one of the best scenes of the night, Grindstaff was swarmed by fans and friends afterwards and was stopped for dozens of photos and autographs.